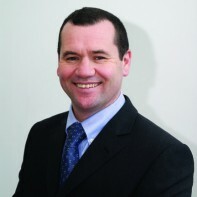 Paul Donnelly, Chairperson of Sinn Féin's Dublin branch, has been selected by the party as their candidate in Dublin West. Donnelly was co-opted on to Fingal County Council in 2008 but failed to secure re-election when he went to the polls the following year. He currently works as part of the School Completion Programme in Coolock. Donnelly considers himself an ardent Dublin GAA supporter. He is currently involved with St. Peregrines GAA club as a juvenile mentor.